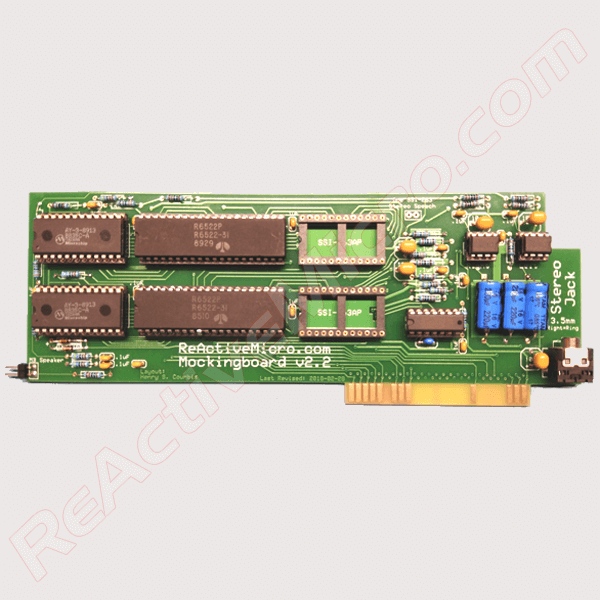 The Mockingboard v2.2 is a 6 voice sound stereo music and sound synthesizer card. Comes assembled or in kit form. There is room for two speech chips, or use a jumper for stereo speech output. Comes with 2 pin audio cable to connect with Apple II motherboard so all Apple II sounds go to external speakers. Next announcement will be for the presale of the Apple 3.5 Drive Controller and TransWarp IIgs v1.0 boards. Stay tuned! Two newer items still in presale are the ProDev DDT and SUPERPROTO cards. These are planned to ship about late July. 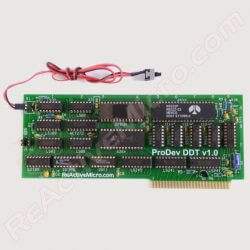 The ProDev DDT is a useful, powerful, and simple to use debugging card. You can set breakpoints to stop running code when they are accessed. Makes seeing what’s going on with code or hardware much more simple than using a Logic Analyzer. Comes assembled or in kit form. The SUPERPROTO is a cross between a prototyping board and a development board. It’s a simple way to design and test circuits, but also to test and build firmware. 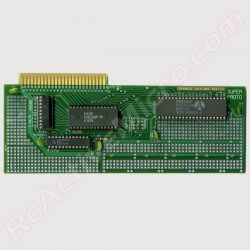 The card comes with an in system programmable EEPROM which can, as the name suggests, be programmed from the Apple II. No need to remove the card or ROM. Just load code right to the RAM and test. The board also comes with a 6522 VIA which can allow for some pretty interesting projects like home brew sound cards or communications projects. Comes assembled or in kit form. End Of Month Power Sale: Universal PSU Kits $60 and UltraWarps $95!